There is more to real estate photography than just the camera and the lens. Some other tools and accessories are necessary to produce stunning photos that sell. These include the right white balance tools, the right external/artificial lights, and the right editing applications. In this article, I shall be detailing about the best tools and accessories for real estate photographers. If you are looking for suggestions on cameras and lenses, you can read our previous post on the best cameras and lenses for real estate photography. Mixed lighting scenarios are a headache to work with. Internal lights of a property mixed with flash and or ambient light of the sun plus the reflection from different colored upholstery as well as curtains are enough to throw all careful white balance calculations out of the window. I am speaking strictly regarding white balance adjustment here. You would argue that if you are shooting in RAW, it’s effortless to adjust the white balance later during the post-production. But it can be a tough thing to do, eyeballing each exposure. Especially, if you don’t have a reference to fall back on to. This is where the X-Rite ColorChecker Passport Photo (Black) comes into the picture quite literally. 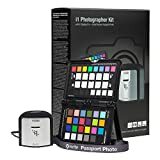 The ColorChecker Passport Photo works as a Classic Target for shooting stills and giving a neutral reference for adjusting the white balance. Additionally, it is a creative enhancement target as well. You can add a bit of color tint to your images during post processing depending on the look and feel of the final image that you want. Pack one of these in your camera bag and you will lose count how many times it will save your day. The creative enhancement target is perfect for changing the color tone to something warmer or cooler and offers a one-touch solution for these changes. There is also a classic target in this three-in-one tool. The classic target is for creating DNG profiles. As much as you want to shoot in natural light or use the internal lights at a property, external lights are very important when you plan on shooting real estate photos. You simply cannot leave home without at least one or two external lights. I am referring to speedlights here (like the bestselling Canon Speedlite 600EX II-RT). Speedlights and strobes are more or less the same. What distinguishes them is that strobes are more powerful and they have smaller recycle times. Smaller the recycle time more frequent is the full power flashes. Additionally, strobes are accompanied by more powerful battery packs which ensure that they can last longer when at a location. Speedlights (like the top-rated Neewer 600W Lighting Kit), on the other hand, are smaller and much more demure. They spit out less quantity of light when compared to strobes. But they are as useful. You can use two or more speedlights connected via a radio trigger and fire them exactly where you want them to. In their favor, speedlights are cheaper and more easily set up compared to strobes. The problem with these, however, is that you need several light stands (as many as the number of speedlights you intend to use), radio transceivers, and modifiers (depending on whether or not you plan on using one along with the lights). Some strobes come with their built-in receivers, and this saves a considerable amount of time and effort to buy one. 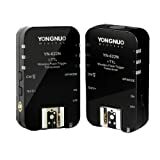 Radio Transceivers (like the Yongnuo YN-622N) are small pocket-sized devices that are connected to the speedlights and your camera. These can be set-up to act as either a transmitter or a receiver. The one mounted on your camera will act as the transmitter and the ones on your speedlights will act as the receivers. Set-up each of them on the same channel so that you can control all the lights at the same time. Multiple channels are also possible and advisable depending on how you want to use the lights. You can set up two sets of lights on two different channels and fire them intermittently depending on the area you are working and the shot that you want. To succeed as a professional real estate photographer getting the right accessories is key! (Apart from picking the right real estate photography lens and camera). 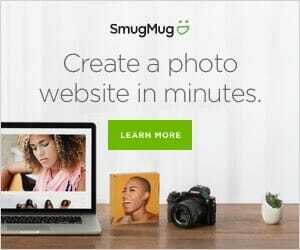 Lightroom is a powerful and easy to use application for editing and even retouching your photos. But it does not have the more powerful features that Photoshop has. This includes using layers and then retouching to the extent that is simply not possible with Lightroom. Many times you would be required to shoot bracketed and then merge those exposures in post-production. A photo editing software is thus imperative to have. Additionally, you should be able to do fine editings like removing blemishes or unwanted elements in the frame, remove ghosts or flares, etc. using the powerful photo editing tools. A sturdy tripod is a must-have. You simply cannot shoot great real estate photos without one. I recently wrote a separate article on the topic of real estate photography camera and lenses and as a closing note recommended some tripods. You can check that article out. A great set of tripod legs and a proper tripod head (e.g., the Manfrotto 405 Pro Digital Geared Head) would allow you to set up your camera correctly on any surface. It will allow you to shoot bracketed shots without the camera moving between shots and producing any visual jerks. Thus, a tripod is imperative for creating HDR shots or for stacking together multiple real estate images in Lightroom. (Apart from avoiding camera shake, of course). Additionally, for long exposure shots, you simply cannot shoot without a tripod. A long exposure entails keeping the lens open for a very long time frame. This requires the lens – camera set-up to be absolutely steady over the entire duration of the exposure. This would be impossible without the tripod. The sort of tripod that you pick also has to bear on the type shooting you do. I love the PT heads as well as the geared heads as they allow precise movement of the camera. The PT head would work as a good option for shooting a few seconds of video clip along with the stills. Retractable spikes with rubber feet are the best combination. Rubber feet ensure good traction on marbled or tiled floor. Retractable spikes give you a firm grip on loose soil. You need both options. Among the myriad of lens filters that are available for use, I would recommend using one in particular; and that is the circular polarizer. A circular polarizer (like the B+W 77mm XS-Pro) would help you to get rid of reflections which can be pretty disconcerting when shooting glass windows as well as shiny surfaces. This is a situation in which you are likely to encounter when shooting a house/property from outside on a bright sunlit day. New generation of Kaesemann High Transmission Circular Polarizer with 1 - 1.5 f-stop loss. Before up to a 3 stop loss. But the circular polarizer has yet another benefit. Circular polarizers have the power to cut through atmospheric reflections. They allow only one wavelength of light in a particular orientation to pass through. That has the effect of glares and reflections suppressed and resultantly colors to be saturated. Blue sky thus looks more stunning blue. This can pop the colors in your real estate photos. Having said that a circular polarizer would cut down on the amount of light that enters your camera. This is because it essentially stops certain wavelengths of light from entering the camera. Thus in effect, it blocks a sizeable proportion of light. You have to increase the exposure to ensure that the images are properly exposed. One more thing to note. Circular polarizers will work only when it is brightly lit. They are ineffective if it is overcast. Light meters are great for measuring both the incident light falling on a subject as well as the reflected light going off of a subject. The subject, in this case, is the interior or the exterior of a building. You may ask: Why you I need a handheld light meter when my camera has got a perfectly good built-in light meter? The answer is the built-in light meter only reads reflected light. Which is good in some situations. But in the long run, this is not the best way to measure the light in a scene for that perfect exposure. 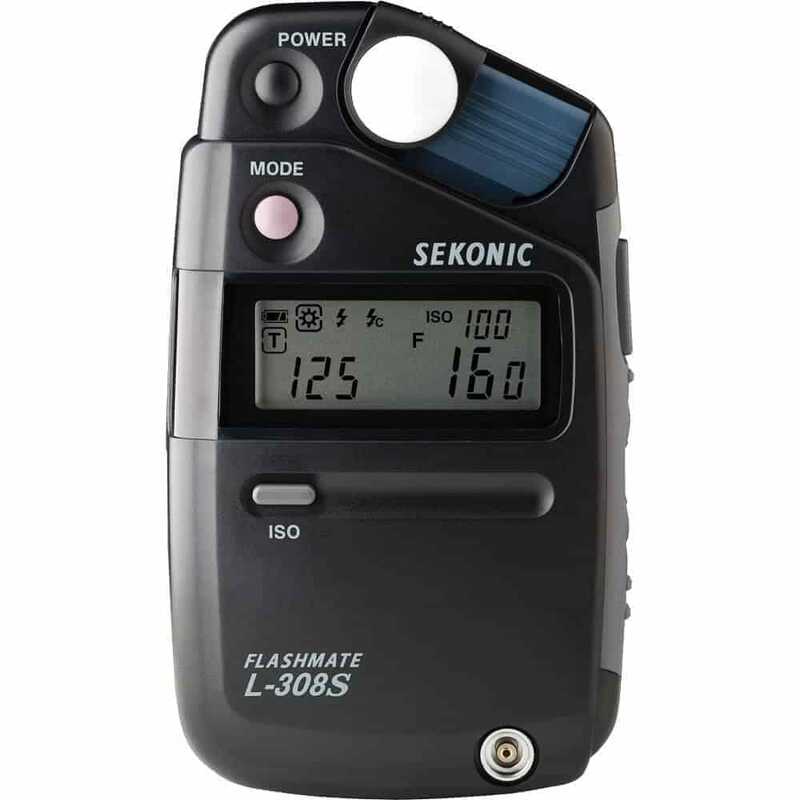 A handheld light meter (we recommend the Sekonic L-308S) gives you a far better readout of the ambient light in a scene (because it primarily measures the incident light falling on a subject). It does not take into consideration the reflectance of the subject or the color. And therefore gives you a much more accurate reading than is otherwise possible. With an accurate reading, you can dial in the precise shutter speed and aperture combination which will give you the right exposure depending on your requirement. The remote trigger is an extremely useful tool for getting rock solid shots. They come in handy for long exposure shots as well as for bracketing. Remote triggers are exactly what the name suggests. They trigger the camera’s shutter mechanism remotely. You don’t have to touch the camera to take the shot, which is always a good thing to get sharp images. The best ones are the wired ones (like the Nikon MC 30A). I don’t quite like the infra-red ones as they can sometimes be unresponsive. Get the wired one. I prefer not to shoot tethered when I am at the location. But sometimes the ability to do that can make a huge difference. You don’t need to process your images or do serious editing sitting right at the location. But the ability to view the images on a larger screen as soon as you have shot them is a big advantage. It can mean the difference between a bunch of photos that were a complete waste of time and some exciting stills of a property that can close a deal. After all, that is what you are called in to do, create images that sell. 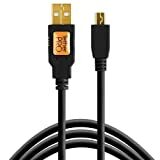 Please verify this is the right cable for your camera. Additional accessories pictured are shown for display purposes only. All items are sold separately. This cable does not fit all cameras. Please verify that this is the correct cable for your camera. These tethering cables can certainly save you from a lot of embarrassment. You won’t like it if there were some issues in the frame and you realized them after coming back to your studio. It can also save you from a lot of post-processing hardships trying to mend frames which had unwanted elements in them. Plus, if the client is around, it is a great way to show what you are capturing and giving off a sneak preview into the kind of effort that goes into making these images. They will obviously appreciate the time and the effort that you are putting in. Gaffer Tapes are cheap and are extremely versatile. They come in handy in a wide variety of ways. To tape, a wire down on to the floor, to hold a piece of diffusion cloth up and for taping a speedlight to a light stand if you forget the A-clamp and so on. Gaffer tapes (and a few other items) are like the quintessential tools of the trade. I will always have a roll of this in my bag if I am headed out for a shoot. A-clamps come in handy in a lot of situations. They are basically for holding things up. You can use them to hold a screen up or a diffuser fabric or even a grey card. And this is just a few of the innumerable reasons why you would want to have a few of these in your camera bag. MegaDeal Too-5230 Clamp Large Heavy Duty Spring Metal with 3" Jaw opening, 4" - 6"
The best quality clamps come with vinyl tips and have heavy duty springs for a tight no-slip grip. Vinyl tips help prevent them from injuring yourself or anyone else while in use. Finally, for combining various exposure photos, you should get yourself one of the leading HDR software. We are recommending Photomatix Pro (the Photomatix Essentials RE version) for all your real estate photography HDR post-processing needs. Also, Aurora HDR (now available both for Mac and Windows) is an excellent piece of software for combining multiple images (regular, over, and underexposed shots) to get the perfect final image. If you want to know more about real estate photography and what gear and accessories you should get, we recommend you buy this book on Amazon: Photography for Real Estate Interiors: How to take and create impressive interior photos (Real Estate Photography).